It’s starting to look like Jack, Phil, and I will eventually plan a touring trip this summer or late fall. Headliner ideas are either the Oregon-California Coast or a Northern Rockies path. Either would be fantastic. 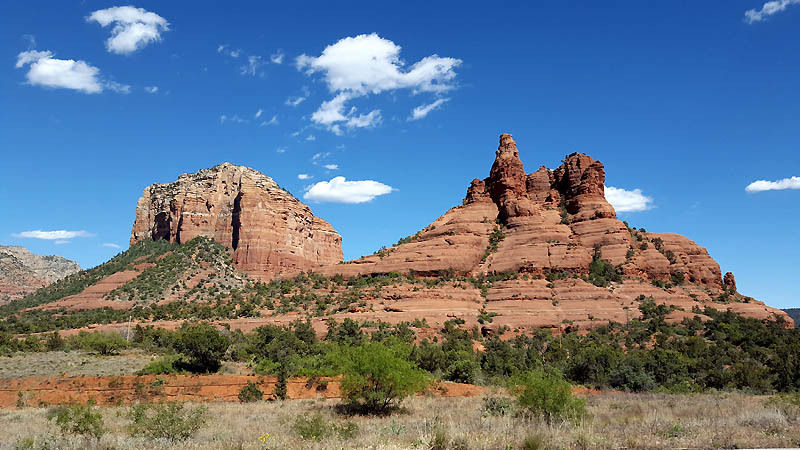 This weekend Phil and I decided to jumpstart the riding year with a day ride in the Sedona area. 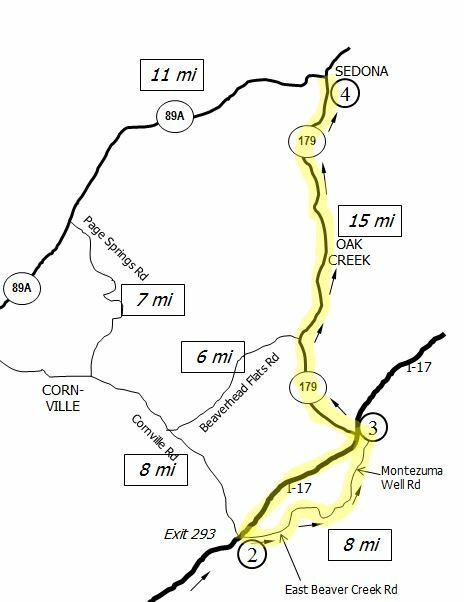 We planned a few options, basically 30-, 45-, and 60-mile out-and-back options, and also mapped out a few loop options if we wanted extra miles. 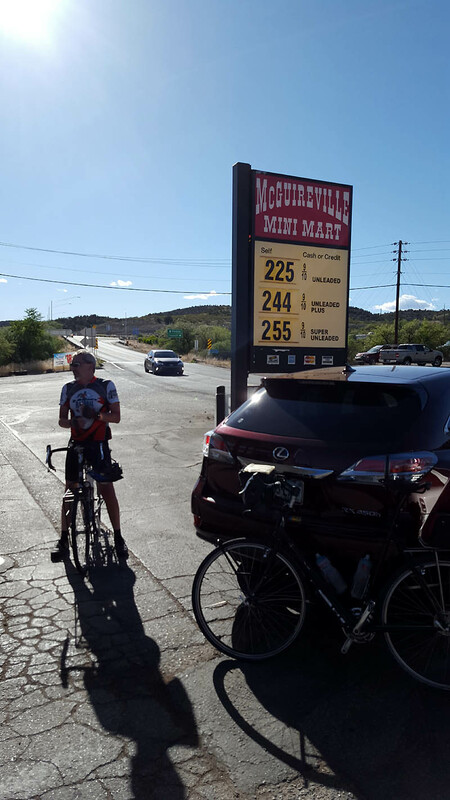 We met Friday morning and took the scenic route (AZ87 and AZ260) from my place up through Payson, Pine, and Strawberry to the Verde Café in Camp Verde for breakfast. Next stop – find a place to park. We drove up to a tiny hamlet called McGuireville (shown as “2” on the map above) where the kindly proprietor at the Conoco station told us we were fine to park there for the day. 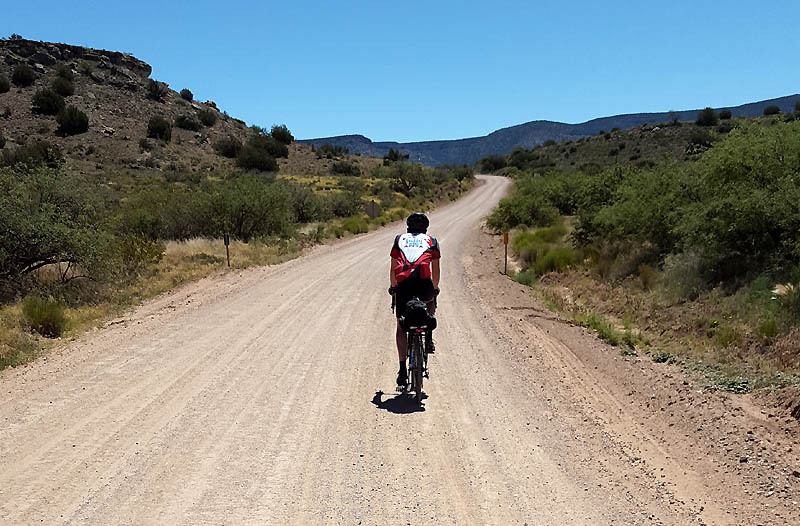 We were soon out and pedaling east on Beaver Creek Road. Talk about some fine weather – about 60F and sunshine! We hit a construction stop and waited for minutes, chatting with the stop sign attendant. We eventually followed the slug of cars through the restriction. 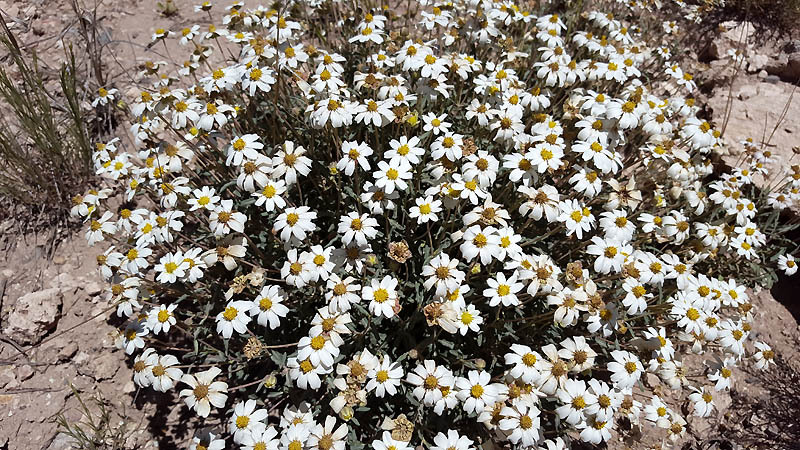 Once through, we were perplexed when almost all of them turned right onto what looked like a side road, except that the main road ahead was unpaved. I learned that all the cars were headed to a tourist attraction called Montezuma Well, which is a big sinkhole where ancient Indian dwellings exist. Sounds interesting, but it wasn’t on our slate for today. Besides, the road there was gunked up with oil-tar from the construction. 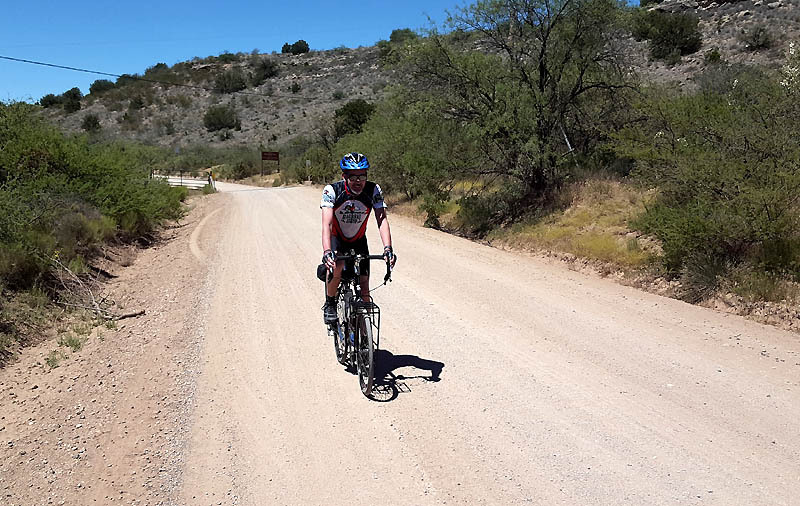 With some guidance, we learned that indeed, our route was up the gravel road called Montezuma Well Rd. It turned out to be a wonderful place to ride. I wouldn’t want to try it on a road bike, but our Surlys are the perfect tool for that surface. Throw in high desert views, nearly zero traffic, and amazing silence, and you have some fine riding conditions. Four more miles took us to AZ179, the route north. This would have been the start of the 30-mile option. Crossing beneath I-17, we found ourselves on a dreadful shoulder. Maybe 20” wide, but with 12” of it rumble-stripped. 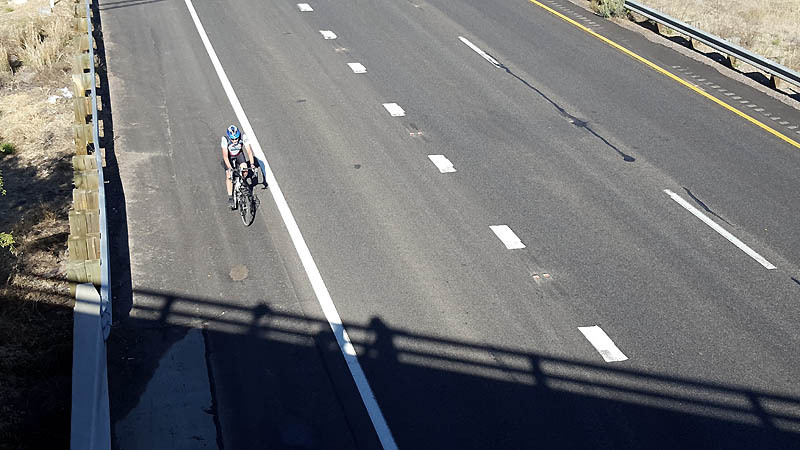 For me, riding out in the lane wasn’t an option – too much high speed traffic, so I opted to run the remaining 8”. Unfortunately, it appeared and disappeared, with humpy expansion cracks and big clods of grasses. Took a lot of concentration to ride this tightrope, tensed up on the thighs so as to absorb the constant jarring. Nearly 5 miles of it. 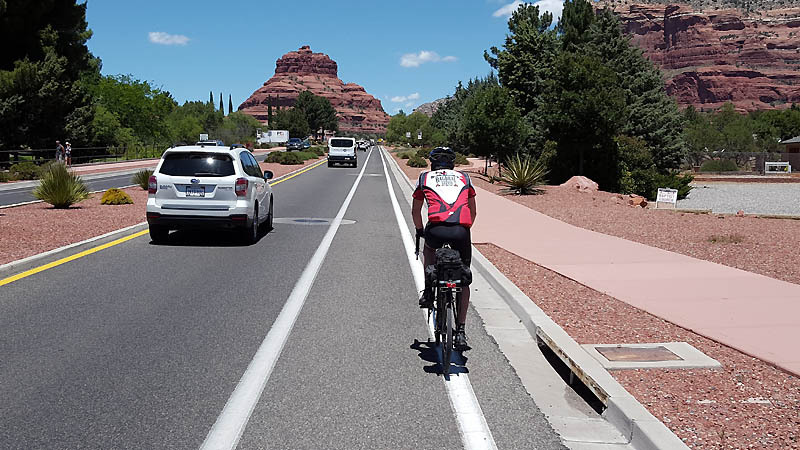 We knew, however, that a bike lane was coming up, and sure enough it appeared on the outskirts of the Village of Oak Creek. The best part of the ride lay ahead. 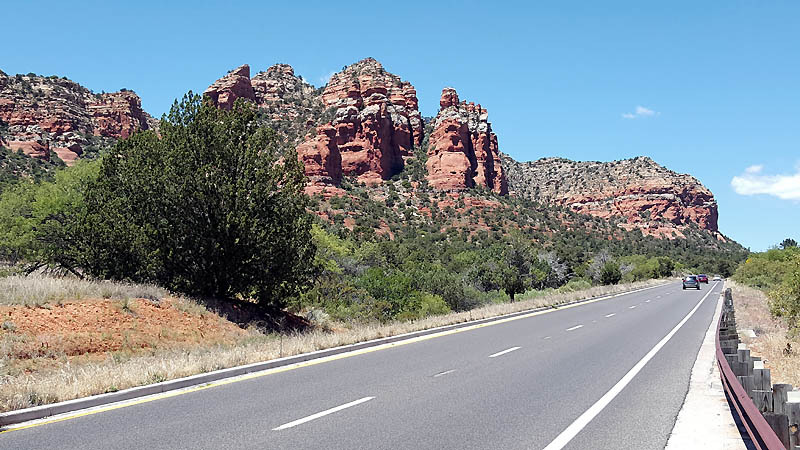 I can’t begin to describe the magical feeling of riding slowly into red rock country, first glimpses, then red cliffs, and finally Bell Rock and Courthouse Rock. I’ve said it before, but traversing such beauty at 10 mph is really something to savor. AZ179 goes up and down and up and down through this section, with glorious vistas everywhere. We passed the impossibly green Sedona Golf Resort and the hallowed Chapel of the Holy Cross. We passed but one other cyclist out today, going in the opposite direction, a bit surprising given the perfect riding conditions. 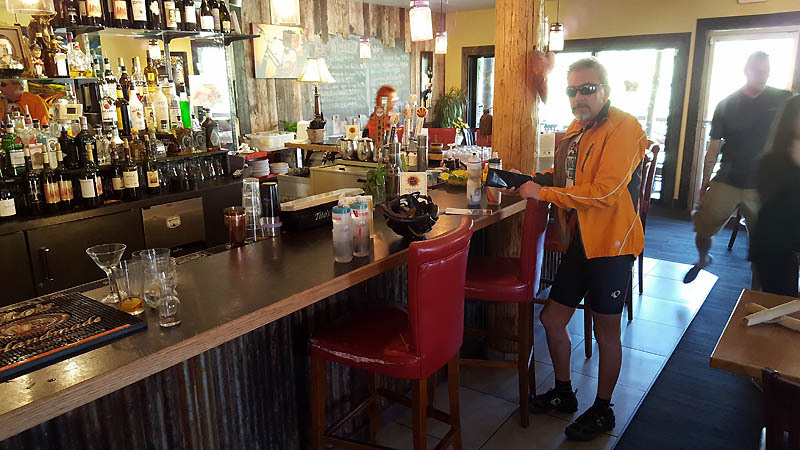 Phil and I finally made our way up the final hill to the Hideaway House Restaurant, our target destination for lunch. Seated at a perfect table looking out at Snoopy’s Belly, can I possibly describe how good that hefeweizen beer tasted? Lunch was equally good – the Hideaway House has their act together. Phil and I were surprisingly tired from the fairly short 23 miles ride. 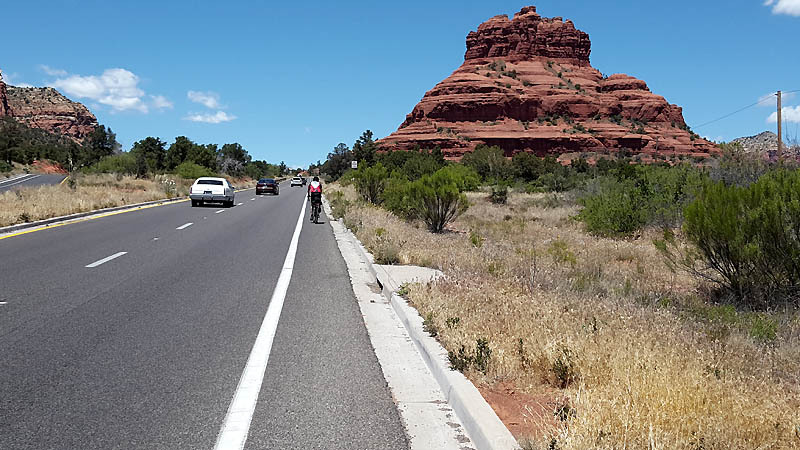 We even joked about staying the night in Sedona, or maybe hiring a taxi to take us back to the car. Instead, we reluctantly saddled up for the ride back. Fabulous ride back, same magical feeling all the way. Happily, the shoulder on AZ179 heading south is much better its entire length – a bit wider and freer of weeds although still lumpy. We had a minor tailwind assist. But the big factor was a predominant downhill. We didn’t really detect it going up, but it was pleasantly noticeable coming down. 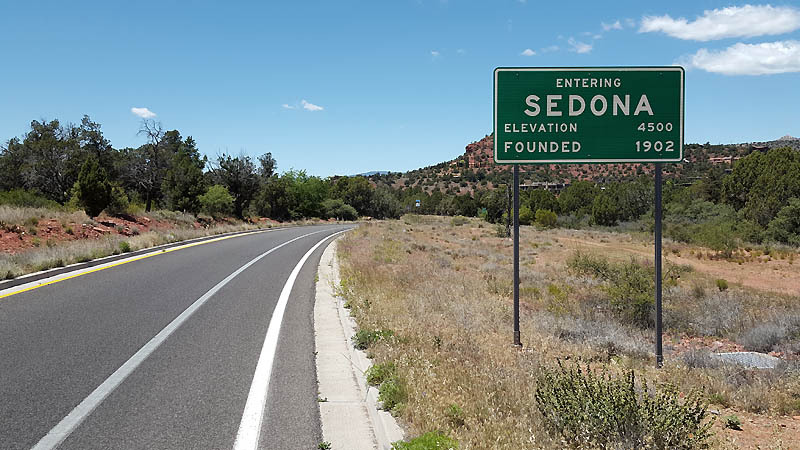 (Later I saw that it is about 1000 feet net climb to Sedona.) Explains the fatigue. 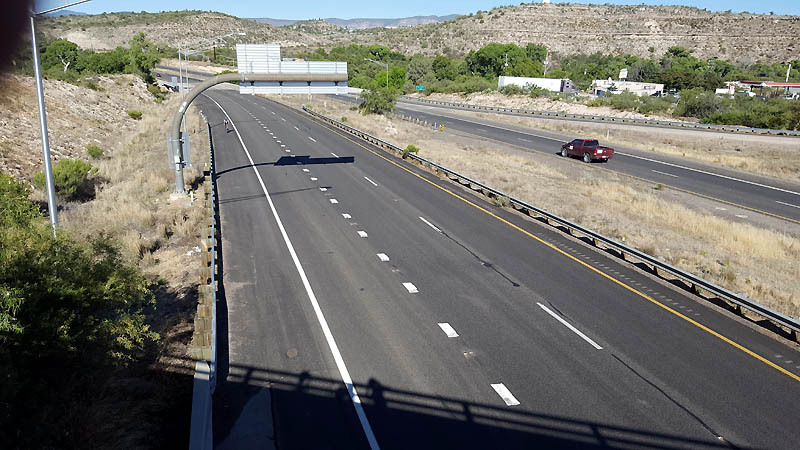 At AZ179 and I-17, we made a decision to take the interstate shoulder back to McGuireville, just for something different. What a nice rip! Five miles of 25mph for free, hardly a pedal stroke. Drove the scenic route back to Mesa again to cap of a marvelous day of riding. I know Phil took a vacation day from work to do this ride and I hope it was worth it for him. I had a blast!